The reference log (reflog) displays the history of a reference (i.e., it is displayed to which commits it pointed in the past). 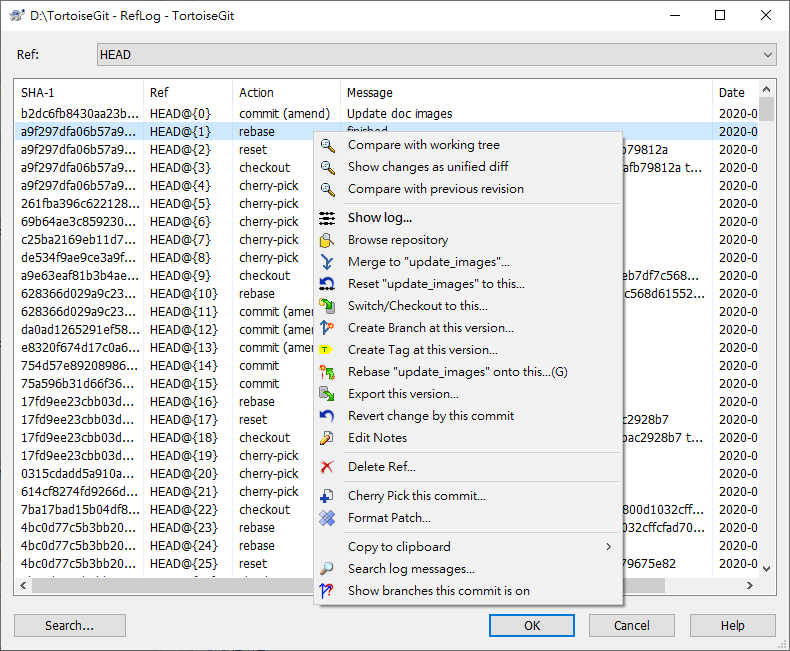 In can be opened using TortoiseGit → RefLog, howerver, you have to hold the Shift key while right clicking on on a folder in the explorer in order to see this, because it is in the extended context menu by default. The RefLog can be used to restore deleted commits or HEAD positions (e.g. when you deleted a branch which was HEAD some time ago). You can find more information at the section called “git-reflog(1)”.